These pinto beans are truly a masterpiece! The word “pinto” means painted in Spanish. Pinto Beans are so named because their outer skin is a spotted, swirling, red-dotted masterpiece of color! 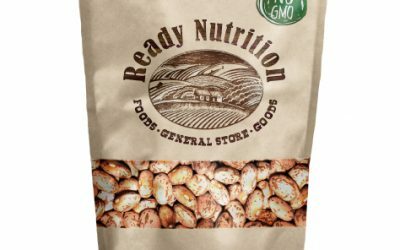 Inside our delicious Pinto Beans, you’ll find a rich, creamy texture that is maintained whether beans are canned or dried and reconstituted later. You can use Pinto Beans as an all-purpose ingredient in soups, stews, burritos, and other Latin American dishes. Virtually fat-free and totally loaded with protein and fiber, Pinto Beans are a terrific side dish or perfect as a complete meal!